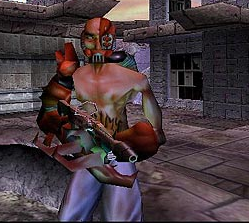 The Timesplitters series had many memorable characters, every had their own favourites and would spend hours playing as them fending off zombies on spaceships or aliens in jungles. 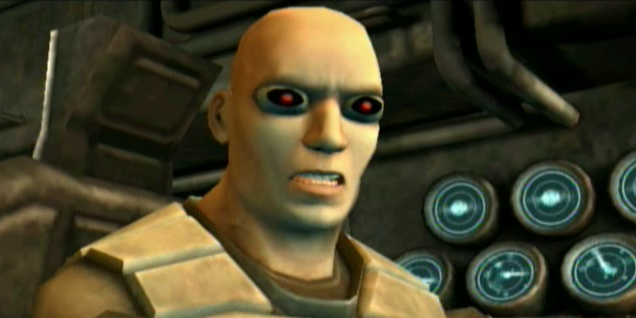 It was a truly magnificent game and I think it’s been forgotten so here’s my list of the top 10 best Timesplitters characters! The only character literally on fire, you have to love his unique look. If you played the challenges to unlock this character on TS2 then I feel your pain. It was very difficult until you realised you could just sit in a corner with 2x Tommy Guns. He’s so epic, he’s a hand with matchsticks for limbs. You have to love this guy’s animation in TS3, I think he’s better than his henchman counter-parts because he seems funnier and I love mowing these down. I don’t know what about him is so appealing, it may be because he’s been with us from the very first game but he holds a very special place in my heart. 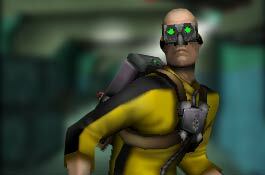 For me, Sewer Zombie is the most iconic zombie in the Timesplitters series. It’s the first zombie you encounter in TS2 and from there you have to put him in every zombie themed map or game mode you make. 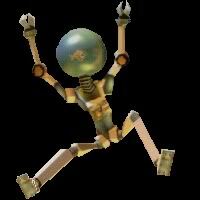 Easily the most iconic character in the series, Monkey is great in Virus mode because of the speed attribute. It’s small too and hard to shoot which is why it’s almost everyone’s favorite character. The main character in the series storyline only reaches a 3rd on my list. His attitude is funny and he’s got an aura of badass around him. I’m not a big fan of him in multiplayer though, I often leave him out of my teams. I remember when I first unlocked this guy and immediately fell in love. He was small and hard to shoot before Monkey was around, but because of his difficulty to unlock, not everyone had him. For a time he was my favorite character. Arguably the most fun challenge was the one back in TS1 that allowed you to unlock Duckman, all you had to do was go around killing ducks. He’s the favorite of many and the fact that he’s just a giant duck makes him awesome. Look at his hands, they’re weapons on their own. This guy has been my favorite character for as long as I can remember, he lives up to his name being badass when I play him and he looks completely badass himself. I hope you enjoyed this and look out for more Timesplitters top tens in the future!